All Star RV in Sherwood Park carries New RV's by Palomino, Heartland, Dutchmen, Coachmen RVs, Crossroads, Keystone, Cruiser RV and Skyline. We also carry all types and brands of Used RVs including: Pop Up Tent Trailers, Travel Trailers, Class A Gas and Class A Diesel RVs, Truck Campers, Class C Motorhomes, Fifth Wheel RVs, Park Model RVs, Tent Trailers and more! 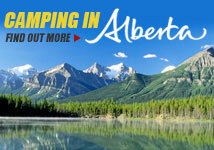 We also offer RV parts with an online RV parts catalog and RV Service.